If you’re renting kayaks, we’ll help you load the boats onto the top of your vehicle using our convenient foam blocks and tie-down straps. We’ll also provide route information so you’ll have the best trip possible. If you’re renting, you will need to be able to have self-rescue skills. Tandem kayaks are $57 for a full day and $47 per day for multi-day rentals. Solo kayaks are $47 per day and $37 per day for multi-days. Each rental includes paddles, life jackets, spray skirts and bilge pumps. 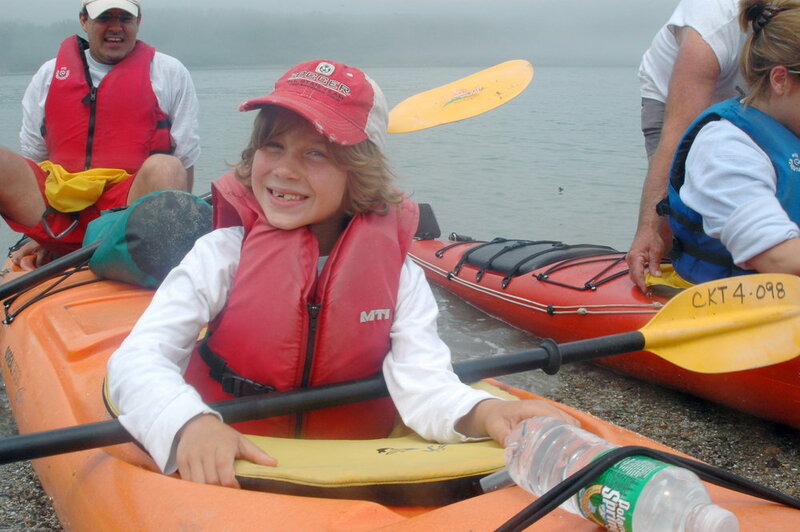 In addition to kayak rentals, we offer guided sea kayaking tours. 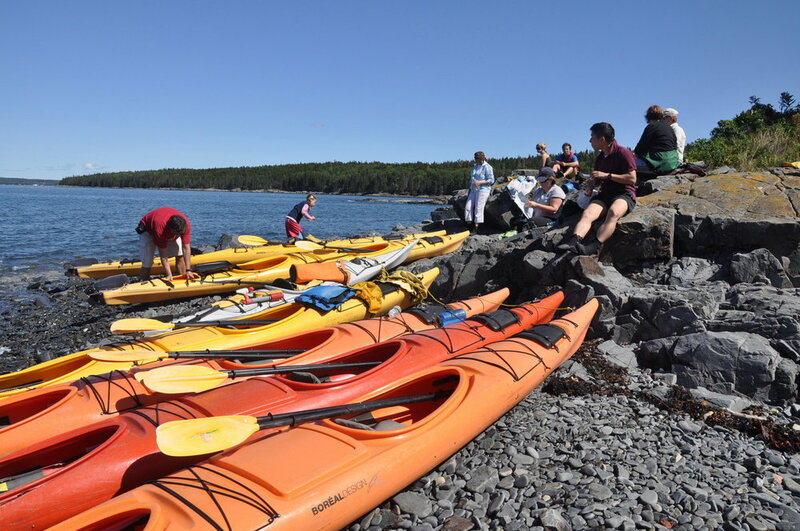 The waters surrounding Mount Desert Island provide a breathtaking backdrop for paddling adventures and we have a wide variety of tours. 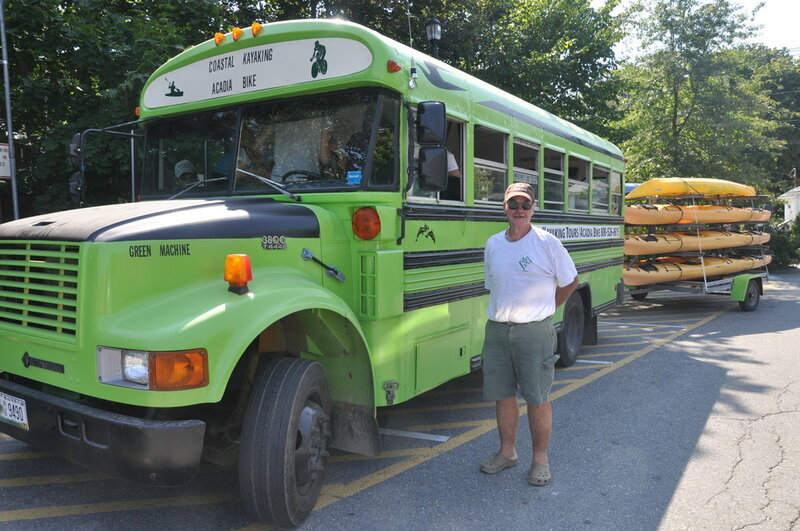 Our tandem kayaks are ultra-stable and our Registered Maine Guides will provide paddling instruction prior to getting on the water. You’ll be surprised at how quickly you pick things up, and soon you’ll be gliding through the water and marveling at your surroundings. Keep your eyes open for wildlife as we often see harbor seals, porpoises and a variety of birdlife, including bald eagles. All guided tours meet at our sister location at 48 Cottage Street. Our harbor tours and sunset tours are 2 ½ hours and cost $43 per person. 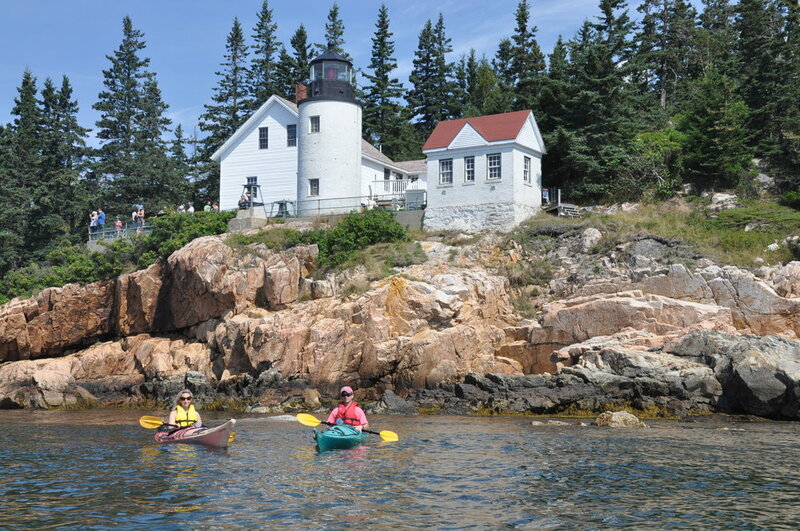 Our most popular trips are the half-day tours and family half-day tours, lasting four hours and including a break on an island; cost is $53 per person. Descriptions of all our tours can be found here.